Do You Know Why Google Is Not Indexing Your Pages? How to do SEO Competition Analysis to Improve Website Ranking? 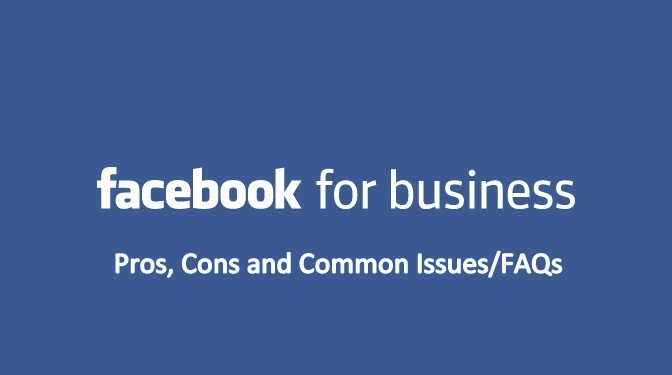 This is the third in a series of articles in which we explained about Facebook Business Manager. In today’s competitive world, Digital Marketing has taken over all the aspects of traditional marketing via SEO services, Ads, and the most important Social Media. Social media has become an important tool used by managers and marketers in equal proportion. While using social media to reach out to your customers is now in full usage the Facebook business manager is also being used actively to manage all the business accounts at one place. One important reason why people use Facebook business manager is that it gives them an upper hand to manage the user accounts, assign rights and manage all the business assets. This becomes especially useful when you have multiple people handling different kind of tasks. This tool clearly helps the team head to restrict and disclose only that information which is necessary for each individual to know. Not only that the ease of setup and use of the Facebook business manager makes it one of the ideal choices for team leaders to resort to ensure smooth operation of their work. This and some other factors relating to the Facebook business manager is what we are going to elaborate upon here. Managing multiple accounts– One key benefit of the Facebook business manager is the ability to be able to manage and synchronise multiple accounts of users at one time. Once the team head has added his page to the business manager there will be a grey bar which starts showing on the top of the page. Not only that at times when you wish to assign different kinds of role to different team members you can clearly demarcate duties. There needs to be an admin of the page and either he or 2-3 other team members can take full control of the Facebook page. This makes the Facebook business manager the best choice to go for when you are an advertising firm which needs to manage Facebook pages for many clients. Also works well when any employee leaves the organisation as you just have to edit his usage rights on the Facebook page of the account he was working on. Avoid mixing up of personal and professional profile– At times we post something on our Facebook page with the hope that it will be displayed on the behalf of our business. However, it gets published on our personal page hence unnecessarily complicating things as all our personal contacts get to see information which is strictly professional. One aspect of the Facebook business manager is the fact that your personal and professional life never mix up. Once you create an account with the business manager the upper bar of your page turns a visible grey. This allows you to realise that you are working on your professional profile at that moment. Hence no more mixing up of identities as you clearly know where you are working. Interacting with other businesses– The Facebook business manager allows you to manage and add your business assets and even communicate them with the other businesses. So your product catalogues pages, ad accounts and apps etc. can be clearly added to your account and displayed according to the kind of people you want to reach to. Also known as your business assets you can even claim and add your clients FB page under your account and then the client gets only limited access to it. This also ensures that you only pick up and add accounts which are relevant to you hence avoiding chances of mix-ups. Able to use additional functions –If you have developed any apps in the developer’s section you can clearly add them to your business manager account. And doing that is just the matter of a click. Each ad account also comes up with one-pixel code and that comes listed on the account page. You can add the settings of each ad accounts partners as your requirement and make changes according to your need. Not only that you can add people, add a product feed, associate other sources and even manage product catalogues with ease. All these facilities are otherwise not available on FB and hence make your job quite simple to accomplish. At times presence of bugs: The creation and development of the Facebook business manager were probably done in a rush. This has not only caused reports of bugs appearing while managing the work some people have even lost their entire accounts. Apart from that, there have been complaints of the admin rights getting changed without any prior intimation. To conclude it means that one fine day you might just end up losing important information hence causing loss of your business as well. The possibility of these errors getting fixed up may take a sufficient time to enforce and you cannot possibly risk your business on that premise. Complex process hence takes the time to learn: If you are setting your business manager page from the start then the entire process is time-consuming and cumbersome. Apart from that, there is no option to schedule any posts before time. The entire work has to be done at the real time only which can be a very demanding task especially if you have multiple clients to handle. Another thing that we are visibly ignoring here is the fact that Social media marketing is not only Facebook. There are a wide range of Social media handles available and creating multiple profiles and managing them is a task which many find tough to execute. You can publish the information on multiple pages but not on selective groups. For efficient results, you might have to shuffle your media strategy between power editor, page posts and the Facebook Business manager. Doing that, however, is tricky as there are high chances of making mistakes. Not enough information available: Even though Facebook has been widely promoting this tool of it’s the truth remains that there is a wide category of marketers who still want to stay away from using it. The reason behind it is probably the fact that there is not much information available for them to understand its working completely. There is no way you can post your content specifically targeted to a certain set of readers. Facebook marketing has been successful because the marketers get a chance to target different categories of consumers. For that, you can segregate your choice of the marketing plan as per purchasing power, educational level and other requirements. However, marketers are unable to find the exact way in which that can be done using the Facebook Business manager. You cannot remove the main account: One woe that continuously plagues the usage of Facebook business manager is the fact that once you have set up an account it is impossible for you to remove it. This is because Facebook has yet not made that process and even of you are not working on a particular account its details cannot be removed in any manner possible. Apart from that even removing pages from your business manager though possible is a task in itself. In case you have multiple pages you might still be able to do it but in the case of a single page, you have to create a new page and make that your primary page and then execute the task. If you wish to schedule posts from other of your pages then that is also not allowed hence limiting your scope as a marketer. There is a wide confusion over adding, claiming or requesting access to the creation of a business asset. Whichever method you chose the outcome of each is going to be radically different. While adding does not imply here the possibility of adding an existing asset. It can be used only to create and add a new asset. Claiming an asset allows you to shift a Facebook asset into the business manager and requesting gives you the right to access other user’s assets which you can then control through your business manager. Most businesses make the mistake of using claiming for requesting permission and that is where the problem begins. The process of adding users is still a bane for most of the people trying to use the business manager. Initially, there is a master user who is someone of a reputed designation in the company. Next are the users who will work under the master user and manage the pages. However, people are still in a doubt over the difference between a business manager admin and an asset admin. While the former is the one who decides and allocates tasks and rights the latter has only access to the asset settings and everything associated with it. While we all know that each user has the right to have only one Facebook account and that can be linked with only one advertising account. You can create multiple advertising accounts but first, you would have to close all the prior accounts along with their billing and other details. Business manager though gives you the permission to set up multiple accounts linked to different currencies and time zones. However, there is a limit to how many accounts you can create and once you cross it you might have to ask Facebook to get it increased. This apart from the fact that once an account has been added you will not be able to delete makes the situation all the more tough for anyone to understand. Do I have to use Business manager? You don’t have to but each Facebook user gets only one ad account for his personal use. In case you are handling many clients at a time then Facebook business manager helps to make your work simplified and efficient. Do I need an FB page to use the business manager? Yes, you do and that page should be dedicated to the business you wish to advertise. 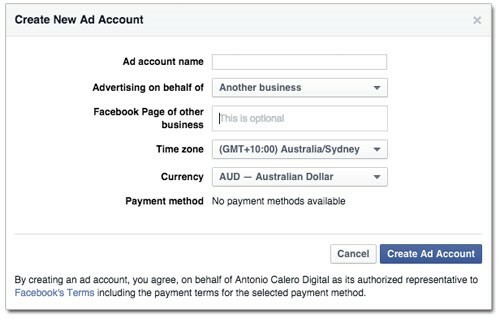 Do I have to use my FB account to join a business? Yes for security reasons we expect our business manager users to verify their account by linking it to their Facebook page. How does my app get access to my business manager API’s? In case your app comes with ads API access then automatically it gets linked to your business manager API’s. Whenever you are setting up your business manager you can claim you app or add it through the app advanced settings panel. Is there any way I can pass permissions given to one business to another business? No. Given the current system of working this is not possible for you to do. Can I add a credit card to my business? Yes, you can. Under the payment methods tab in business manager settings, you can add a credit card which is applicable to any new accounts you create. If you have some existing accounts which are working on credit then you might have to take Facebook help to get the same done.